Officiating basketball is one of the toughest jobs in sports. We are looking for students that are up for the challenge and that can handle the pressure. You will be extensively trained in NFHS Rules and 3 person mechanics. No previous officiating experience is required. Experienced and certified officials are encouraged to apply. 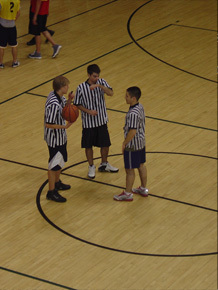 Basketball officials are used throughout the whole year in both 3v3 action and 5v5 full court games. All officials will be provided with a whistle, staff shirt, a uniform and a copy of NFHS rule book. 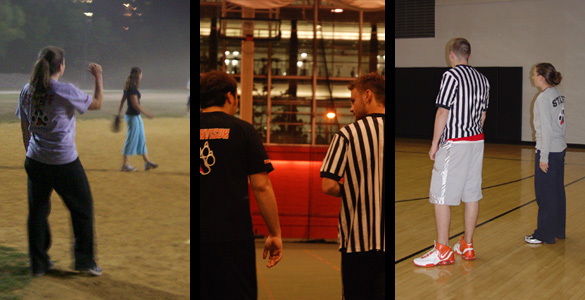 The Intramural Department is looking for ambitious students willing to learn to officiate one of the most popular college intramural sports in the country. As a member of the Flag Football Intramural Staff, officials receive extensive classroom and on-field training, becoming versatile in each position and are also sent to a regional training in Providence for further learning. 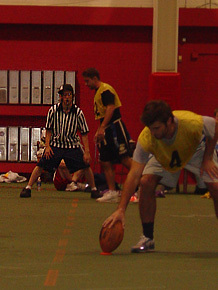 Officials also can earn the opportunity to compete against other officials from around the country in a national tournament held by the National Intramural-Recreational Sports Association (NIRSA). 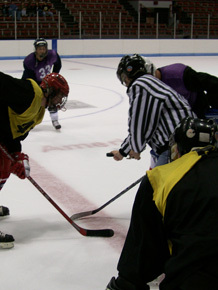 Intramural Ice Hockey is offered in the Fall and Winter semesters in Matthews Arena on the same ice that the Northeastern hockey team uses for home games. 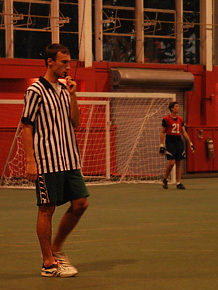 The Intramural Department is currently seeking enthusiastic and reliable officials looking to develop or improve their officiating ability. While knowledge of the game is required, prior officiating experience is not. Officials will be trained by Campus Recreation staff and will also have the opportunity to become certified by USA Hockey for free. Soccer is one of the most popular sports in the world and certainly one of the most popular sports in the Intramural program. The Intramural Department is looking for experienced soccer players with an appreciation and respect of the game of soccer who are interested in becoming an official for a competitive and exciting indoor league. Officials with previous experience and certifications encouraged to apply, however extensive on and off-field training is provided by experienced Campus Recreation staff, so no prior experience is required. The intramural department is currently seeking hard working and intelligent people to work as volleyball officials. Knowledge of the game and playing experience is required. All necessary training and equipment will be provided. Work study students with prior experience playing volleyball are strongly encouraged to apply. Games are usually held during week nights. 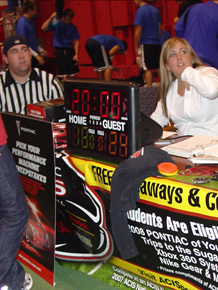 Work study students interested in working in an athletic environment are invited to apply for a Scorer/Timer position. The responsibilities of this position include managing team rosters, recording the accurate score of the game and working the game clock. All the necessary training and equipment will be provided. Only work study students may apply for this position. To apply for on-campus jobs, visit the myNEU Student Portal. Click on Self-Service and then Student Employment. All jobs are listed by employer (Campus Recreation). Apply online and you'll hear from us shortly.